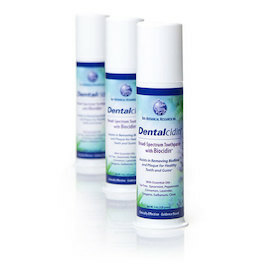 Maintaining great oral health while also avoiding toxins is easier than ever! There are more and more options every day but I have a few favorites that have stood the test of time. Like all my resources, I add more products once I confirm their safety *and* their efficacy. All of these products are pearly white winners! PRO TIP: Have your clients try a few of these different products so they can transition easily and find what non-toxic option works best for THEM! *affiliate disclosure* Many of the links included on these pages are affiliate links, meaning, at no additional cost to you, I will earn a small commission if you click through and make a purchase. I only share affiliate links to products that I’ve personally vetted and personally believe in, so you can shop with confidence! There is nothing I love more than a toothpaste that is free of parabens, sulfates, fluoride, and plastic packaging. Living Libations makes this exceptional toothpaste that I have used for years. 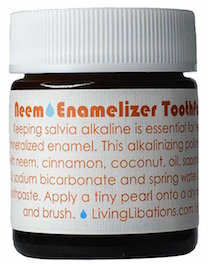 It balances your saliva pH to re-mineralize tooth enamel, and has a great cinnamon forward flavor. 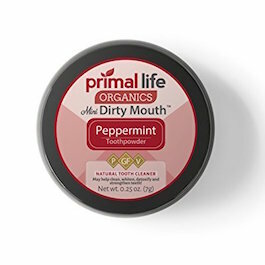 Primal Life Dirty Mouth Tooth Powder is another favorite of mine because of it’s simple, yet effective ingredients. A little goes a long way and your teeth will feel cleaner than ever. After learning about all the solid scientific research behind the botanical technology in this product, I knew this brand was onto something BIG! This toothpaste fights plaque, and helps reduce the biofilms that lead to bacterial overgrowth in our mouths. Traditional whitening treatments all contain peroxide that is not meant to be consumed. This one is different. Drugstore brand (brown bottle) peroxide has metal contaminants that make it unsafe for oral/internal use. This food grade peroxide is a great alternative! Most dental floss contains perfluorinated chemicals, which are persistent and bioaccumulative. No Pfas chemicals here! 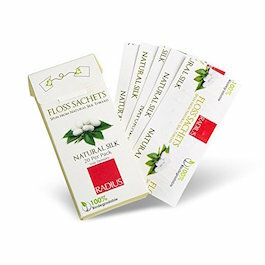 Biodegradable silk floss with candelilla plant wax (in plastic-free packaging) will ensure you’re doing all the right things for your teeth and the planet. Every toothbrush you have ever used in your entire life is still in existence today. That plastic doesn’t just “go away” when you toss it in the bin. 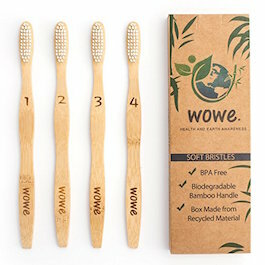 These toothbrushes are made of bamboo and will biodegrade naturally. Even better, the bristles are BPA free and are made out of biodegradable nylon.